Magnetic glass dry erase boards are undoubtedly cool but we had received one common complaint about them over and over. 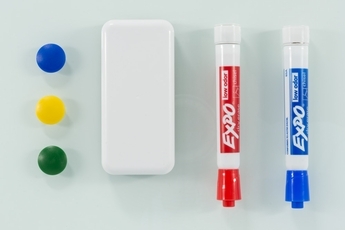 The thing is that magnetic accessories designed for standard magnetic whiteboards simply don't work as well on magnetic glass whiteboards. So we found a solution, these magnetic accessories are designed to work with you magnetic receptive glass boards. Their large neodymium magnets have a larger and stronger magnetic field to reach through the glass surface and to the magnetic receptive backing. 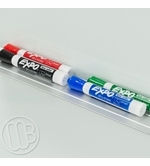 The weight-bearing accessories like the marker cups and trays have a rubberized backing on top of their magnets to further reduce slipping on the super smooth surfaces of a glass board. 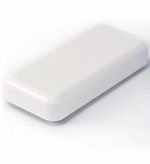 While these accessories are designed with magnetic glass boards in mind they will work on porcelain steel whiteboards or any magnetic receptive surface they will simply attach stronger than most accessories you may be accustomed to. 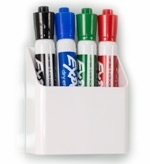 Conveniently Attaches to Magnetic Glass Board to Store Up To 8 Markers.